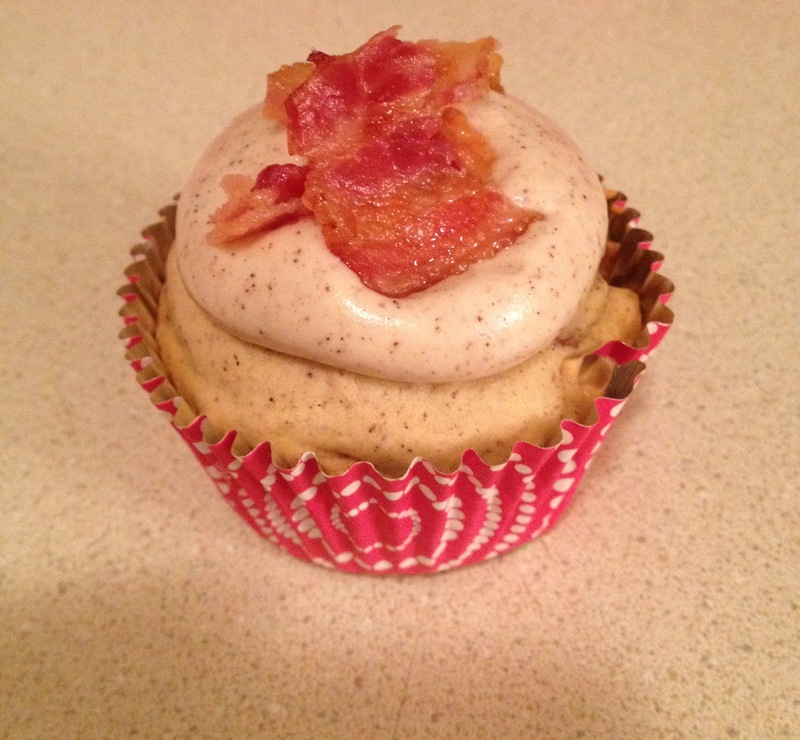 Breakfast in a cupcake? And wait … bacon on top?? Yup – you read that right. Enjoy breakfast for dessert at anytime with this fabulous recipe. Warning: This is not low calorie, low fat, no sugar, or a quick & easy recipe … but it IS worth it! Place 24 cupcake liners in muffin tins. Combine the two flours, pudding mix, baking powder, potato starch, cinnamon, nutmeg, and salt in a large bowl – stir everything together until it’s mixed in thoroughly. In your electric stand mixer, cream the butter and sugars together on low – about 6 to 8 minutes, or until they’re combined. Gradually mix in the vanilla and egg whites. Scrape down the bowl and continue mixing everything until the batter is light and fluffy. Add the dry ingredients mixture in 3 separate batches: 1/3 of the flour mixture, then add your maple syrup, then another 1/3 of the flour mixture, then your half and half, and finally the remainder of the flour mixture. Be sure you are using the mixer to mix everything together in between adding your batches – do not just add it all at once, this batter is way too thick. 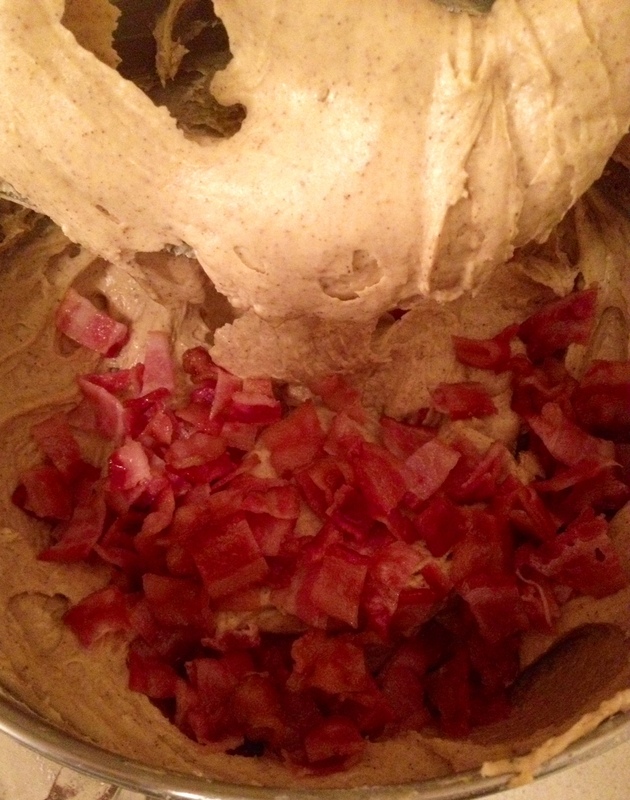 Be careful not to overmix – and lastly, add in your chopped bacon. Yum! Scoop the (sticky) batter into your prepared muffin tins – filling them about ¾ of the way. 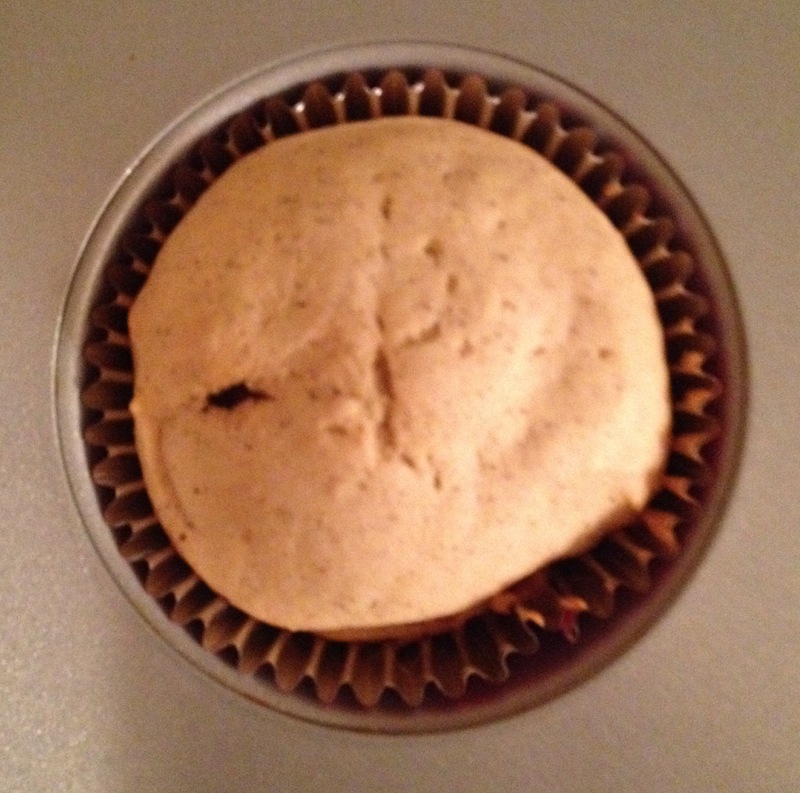 Bake until a toothpick inserted into the center of the cupcake comes out clean – this is going to be about 35 to 40 minutes. The cupcake part itself will be very dense. Beat the cream cheese and butter in your stand mixer on medium until creamy and completely combined together. I like to use my wire whisk attachment when making frosting. Add the confectioner’s sugar, maple syrup (a little at a time – see how it absorbs to decide if you need to continue adding more), and cinnamon. Beat until combined and creamy. Use a decorating bag and pipe the delicious frosting onto your cooled cupcakes. Top with the chopped bacon and a small drizzle of maple syrup. And there you have it. Can we say … impressive?! Or better yet – AMAZING. How do these taste with the Bacon? They’re actually really good – tastes just like breakfast!